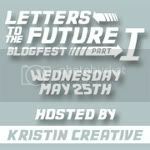 Today I am joining in the fun with a blogfest hosted by Kristin Creative. I am slightly early posting due to the time difference, but you will find links to other people's posts on Kristin's site over the next day or so. To visit Kristin's site, click on the blogfest image. I am sorry that I haven't had as much time for you as I would like. Sadly bills must be paid and a 'regular' job must be maintained. I wish I had all day to spend with you - visiting pages, making comments, meeting new people and, of course, making you beautiful. I also wish I had the necessary skill to make you more attractive, but it is sadly not within my power. Now, it seems I don't have enough time in the day. I barely scrape through getting the essential things done and then I need to sleep before the routine starts again. But bear with me as I hope it won't be this way forever. Here is our plan. We will start to look for more freelance editing work. Yes, I know that's adding MORE to our workload, but hear me out. Once we have established some more editing work, we will aim to move from full time 'regular' employment to part time. Then we will have extra days for editing, writing our own stories and maintaining our blog and other pages. Who knows, maybe one day we'll write that bestseller and then we can stop other work altogether and live a dream life of writing and fun. Okay, maybe that's a little much to hope for...but I still think the first stage of the plan is workable, don't you? So, I'm sorry that I can't do as much at present as I'd like. It's not laziness, believe me - I just can't physically do any more right now. But chin up! Everything will work out in the end if we set our mind to it! Someday you'll be able to make that promise to your future blog self a reality, Nicki! Taking on extra freelance editing is a good idea, even if it seems counterproductive. Less time now means more time later. Good thing Corey's so understanding! Good luck to you! Thanks so much for playing along! And best of luck on your goals! There never does seem to be enough time or enough me to go around to all the things that need doing. Good luck getting to that future self! Great letter! Also, I hope to move away from my regular job and do some freelance too. I hope you can squeeze in some writing time soon. :) Hang in there!